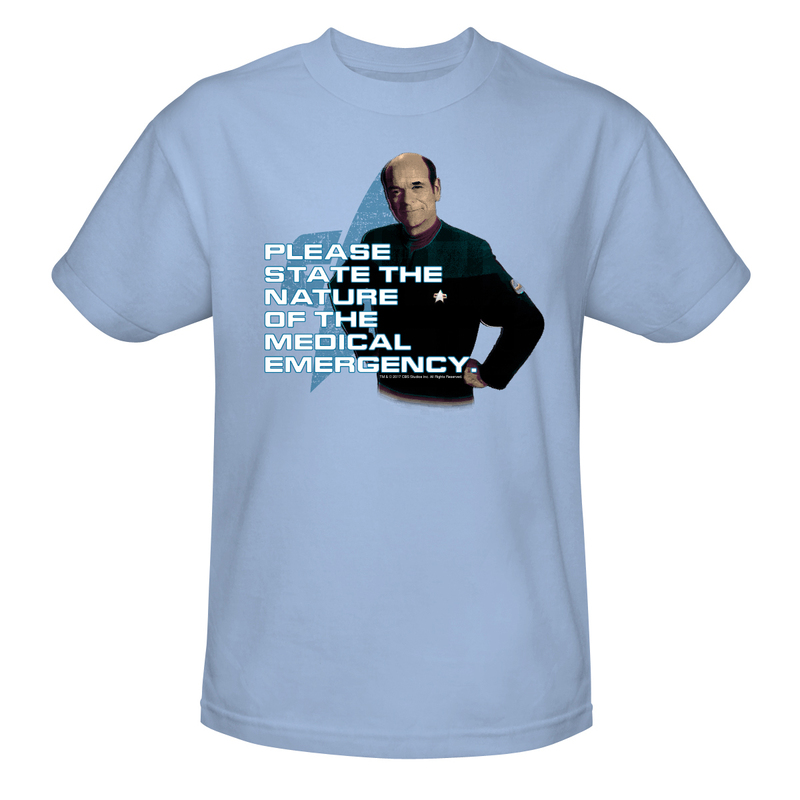 “Please State the nature of the medical emergency”, the prompt words of the ever ready Emergency Medical Hologram doctor of the USS Voyager. 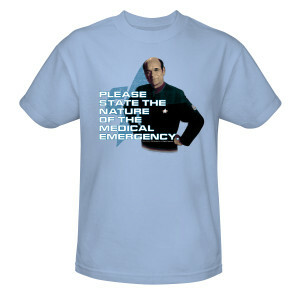 Show you a fan of the medical expert who simply goes by Doctor with the Star Trek Voyager Doctor Medical Emergency T-Shirt. This soft 100% cotton t-shirt features the Doctor’s trademark opening line and the doctor himself.